The 24 Pack Adventure suggests the ability to promote as well as reflect your excellent decision. 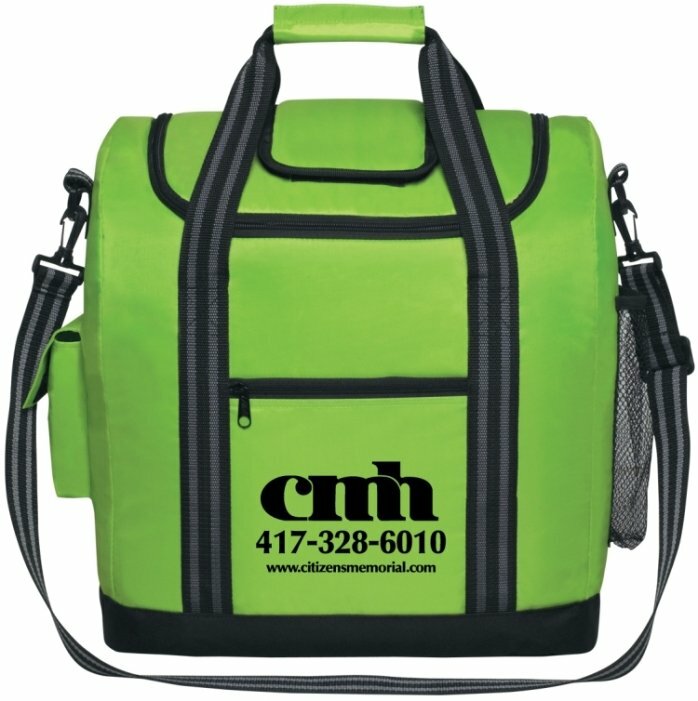 As the name implies this insulated cooler is a corporate gift waiting to happen with your logo. detachable shoulder strap, with large 24 beverage can capacity. Overall size of the soft sided cooler is 14" w x 15" h x 8" d.
Delivery from date of a cooler order is 3 weeks. Price includes a one color print on the front in an area 4 1/2" w x 4 1/2" h.
add a set up of $50 and running charge of $.50 each unit. This soft sided cooler has a max of a three color print. Reorder setup is $25 plus extra color run charges. We needed a promotional item that would raise eyebrows at our company summer picnic, found it and at a price that was pleasing. This Adventure 24 Pack Cooler was a real hit at the picnic and my boss was pleased with that! I enjoyed ordering, did it all online and everything went off without a hitch. Better than expected quality, great imprint and PII even sent me an email to review my experience. I am more than satisfied and looking forward to next year to place another order with this company.